Newly renovated masterpiece, this Flex 2 Bedroom 2 Bathroom loft is truly one of a kind, located right where Chelsea meets the West village. This loft home features the highest level of finishes and character, with over 12 foot ceilings and exposed brick throughout the property, the western facing oversized windows flood the apartment with light, the spa like bathroom and chefs kitchen with a large custom island are just some of the amazing features this home has to offer, a massive living / entertaining space of over 32 feet wide allows for an easy flexible 2nd bedroom to be created. There is also an abundance of storage and closet space. This is truly a magnificent home that will not last long. 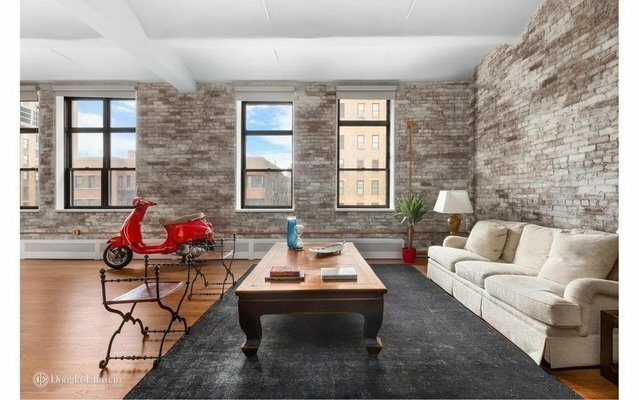 This commanding 64 unit loft conversion is located on a prime tree lined Chelsea block on the north/east corner of 15th Street and 7th Avenue. The building has a live-in superintendent and a full time porter, convenient to transportation and shopping. Call today for a private showing!